Zenith Aircraft Company only manufactures and sells kits and parts. The aircraft are not available factory-assembled from Zenith Aircraft Co. If you do not have the time to build your own airplane, we suggest you purchase a new factory-built Light Sport Aircraft (LSA) or used (assembled) aircraft, or use professional builder assistance to speed up your kit project. Click here for details about FAA rules and regulations regarding kit aircraft, and for details about professional builder assistance. 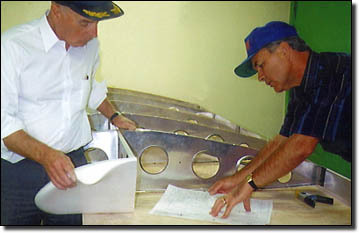 A STOL "Fast Build Kit"
"Fast Build Kits" and builder assistance is offered by several independent companies and individuals. 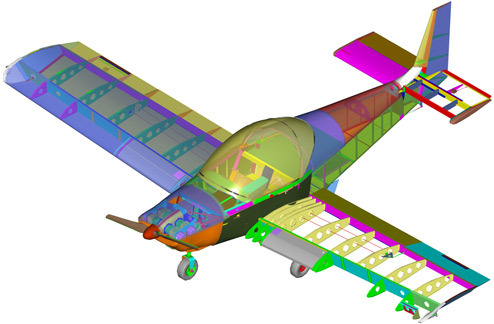 The following companies have stated that they offer builder (kit assembly) assistance for those individuals who seek professional help in building their aircraft. Note that these companies are not affiliated with Zenith Aircraft Company, and are independent and not "approved" by Zenith Aircraft Co. IN CANADA: Unique regulations in Canada allow builders to contract for the professional assembly of kit aircraft; the Zenith CH 650B and STOL CH 750 and may also registered as Canadian "Advanced Ultralights" (no 51% rule). Zenair Ltd. recently introduced the "Two Week Wonder" accelerated builder assistance program. Note: The above companies are not affiliated with Zenith Aircraft Company.